Plumbers – How much can I expect to earn? Part P for Plumbers – What’s it all about? As you are probably well aware plumbing is an exciting and also a very rewarding career choice and is in fact one of the last trades that offers job security, as someone somewhere always requires the expert skills that comes with this hands on trade. It’s not just the job security that attracts many to this trade but also the great advantage of the options that comes when entering into the plumbing industry. Let me explain, you could work for a plumbing company, or you could take on contract work where you take on different projects as and when they come up or you also have the option of becoming your own boss by being self-employed as a plumber. Just think about all the benefits that would bring you get to choose your own working hours, the days you work and also when you take your holidays, no more fighting over certain weeks with lots of other people! And the dreaded boss to have to answer to, you are the boss! Plumbers are in high demand and it’s not just here in the UK but also in other countries including Canada, New Zealand and Australia. So if you want to try something different maybe emigrating with your new chosen trade is just the start you need. These countries have migration policies that welcome people with these special skills. Once you become a fully qualified plumber that’s it you’re a plumber and nobody can take that away from you. 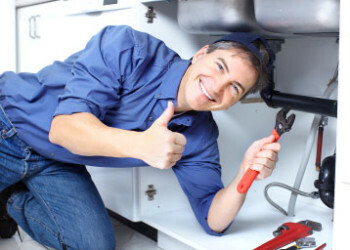 If you definitely want to become a plumber and you’re just out of school or are about to leave school then your best option would be to try and get a plumbing apprenticeship, just in case you don’t already know an apprenticeship is the traditional way learning different trades and crafts for example plumbing, electricians, carpentry and all the other trades. You’ll get paid while you’re learning on an Apprenticeship ! Apprenticeships usually take around two to four years to complete it really all depends on who is going to be showing you the ropes. During your apprenticeship your time will be shared out between classroom lessons which will take place at your local training college, where you will be taught all the technical theory that will be required of you before you get to put what you have learnt into practice. The rest of your time is actually out on the job where you will get the great opportunity to work alongside an expert in their field, just remember they would have years of experience and know how that they want to share with you, so take this opportunity and use your time wisely so that one day you too could be just as good. Not everything can be learnt by a book and their experience is worth a great deal more. Another benefit of becoming an apprentice is not just the obvious but the opportunity of getting to know tradesmen, suppliers and also construction workers you’ll meet when out on the job, this will make finding work after your apprenticeship a lot easier. Now let’s talk money, during your apprenticeship you’ll be paid the basic salary of £95.00 each week although it’s often more than this amount. There is no fixed amount of money for those on apprenticeships but they must be paid a wage of minimum £2.60 each hour. 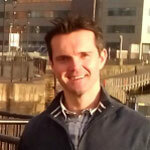 How do you get on a plumbing apprenticeship scheme? Well you’ll be pleased to know that no formal entry qualifications are required to enter into a plumbing apprenticeship, just the determination to succeed! Applicants will however have to be aged between 16 and 24 and must have normal colour vision. If you’re over 24 you may find getting on an apprenticeship a struggle as there are a limited amount of spaces available and as you can imagine competition is fierce. It may be a good idea to ring up some of your local plumbers or plumbing firms and see if they themselves might be interested in taking on an apprentice you never know your luck so it’s well worth giving it a go, if they can’t help you they may know someone who can. If you cannot get on an apprenticeship scheme for whatever reason don’t worry there are other options open to you including plumbing training courses that are widely available throughout the UK. Let me now wish you the very best of luck with your apprenticeship and for the future. I developed this website to be a useful resource of "jargon free" information for people wanting to train as plumbers in the U.K. I hope you find the site helpful. Part P for Plumbers - What’s it all about? © 2012-2019 www.plumbing-apprenticeships.co.uk All Rights Reserved.